There’s a small town on the South America coast where the sweet sea air mixes with fragrant tropical blossoms. It’s a place where the neighbors are kind, the parrots are helpful, and wonders abound in everyday life. It’s in this town of Costa Contente that you’ll find Dona Gloria and her husband Berto, proprietors of the Casa de Everything & Anything. It’s in their home that you’ll meet Solange, the young traveler they’ve welcomed into their lives. Just across the way is the Taverna Amore and its owner Gilberto. And Dona Immaculada is not far away, ready with a potion or bit of insight to soothe a broken heart or ease a sore back. When the drought lasts longer than anyone expected, the citizens of Costa Contente rally together to save their parched town. When the ghost of Don Mateo becomes restless after outsiders attempt to decimate his family’s land, a meeting is called at the tavern. Working together, the townspeople always come up with a plan to overcome any obstacle, large or small. Careful thought, hard work, and just that little bit of the magical assure that Costa Contente will continue to thrive for its people and the land on which it rests. Stories have been running through my head for as far back as I can remember. In the most ordinary of places and situations I would often imagine a different, more intriguing reality. It was not until much later in my life that I began to write down some of these tales. My books take place in the foreign lands where I have lived, traveled, and worked. Most of my working life has been as an educator, starting out as a Peace Corps Volunteer in Brazil. At other times, (when I needed to pay for university and/or required a break from the profession), I worked in nightclubs and corner bars. I am also a travel writer and have blogged for Lonely Planet. Ahhh…Tel Aviv in the summer: hot sun, beautiful beaches and a popping nightlife! Just the answer to Jazmine Davidson’s dead-end life as an English teacher in cold and foggy San Francisco. Cousin Sara, up on the kibbutz, is thrilled to hear that Jaz has finally decided to give Israel a chance and plans for her arrival. 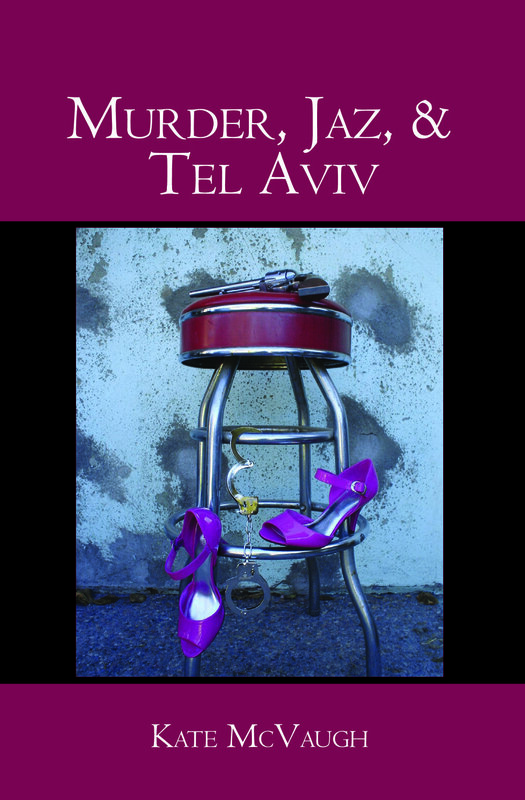 But since kibbutz living might entail living in tents and washing her own clothes, Jaz opts to try and find work in Tel Aviv. Before long she gets her first private student and is on the road to living the life. Or at least she thought she was. A dead student? The mob? A cute cop? The CIA? Or is it the Mossad? Jaz finds herself in an insane world being interrogated by the police and assaulted by strangers, all of who seem to think she knows something she doesn’t, and all of it in a language she doesn’t understand even when they speak English. Frantic calls from Cousin Sara, faxes from the psychic aunt in California, questionable men in questionable professions …Will Jaz be able to put all the pieces together before she herself is taken apart? 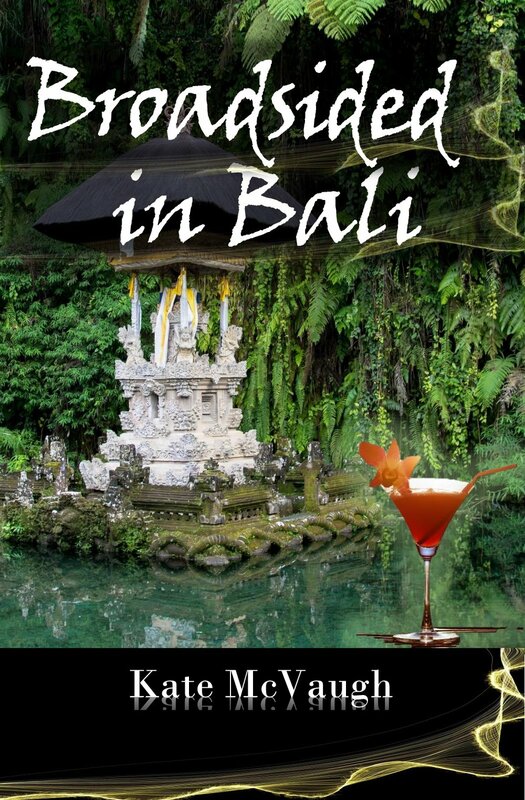 The Island of Bali – it’s everything Raquel and Magdalen could ever dream of in a holiday destination. What could be better than the quaint town of Ubud with its beautiful weather, exquisite artwork, and local charm? But trouble is looming in paradise and it soon becomes apparent the ladies are in for more of an adventure than they'd bargained for. As seasoned travelers nearing retirement age, Raquel and Magadalen have no problem cutting back on necessities like makeup and ditching heels for hiking sandals in the tropics. They don’t even mind that the Lotus Yoga Resort & Spa is strictly vegetarian. At least they aren’t required to participate in Sun Salutations at the crack of dawn when they'd much rather be sipping coffee at a sidewalk café. But after a full day at the resort, the owner, Lotus, still hasn’t appeared and no one seems to know what's happened to her. Money problems? Clandestine liaison gone afoul? As much as the friends would like to ignore the situation and get on with shopping and sightseeing, it soon becomes evident that something is seriously wrong. Like what’s up with the other employees and their odd behavior? And then there’s that fine-looking scientist who is definitely hiding something. Magdalen and Raquel set out to investigate the puzzling events at the resort aided by other concerned guests, including a couple of aging hippies. Together, they hope to find out what has become of the owner without offending the locals or breaking any laws. The last thing any of them wants is to be tagged as a rude tourist. Or worse, land in a foreign jail. Will the friends manage to get to the bottom of Lotus' mysterious disappearance and still find enough time to work on their tans before heading back to LA, or will they find themselves Broadsided in Bali? There’s a curse at Club Cairene and it’s killing people. Tangerine, the renowned Freelance Curse Breaker, is in Cairo to sort it out. What at first appears to be just another routine job quickly becomes more complicated and more dangerous than even she had ever expected. Unfamiliar earth energies and shadowy characters block her every attempt to combat the curse. And then there’s that strikingly handsome man seen leaving the club after the latest victim falls prey to the curse. Tangerine cannot understand the peculiar sensual tingling that ripples through her body when he gazes into her eyes. Curse breakers don’t have to deal with purveyors of sexual energy, do they? With the help of Club Cairene owner Leila, Tangerine sets off through the neighborhoods of exotic Cairo to track the origins of the curse and figure out a way to disarm it. Also on her agenda is hunting down that very attractive, and possibly very evil, man. Could the answer be found within the walls of the Cairo Museum? Or in a more pedestrian locale like a coffee shop? Where ever the solution lies, Tangerine must act quickly before the curse destroys a great deal more than just Club Cairene and the people around it. Top notch accountant Pia might have suspected her bosses of cooking the books, but when you’re fifty-two and jobs are scarce, it’s easy to look the other way. Or it is until you find out that your employers might be managing the finances of a drug cartel, right there in your hometown. 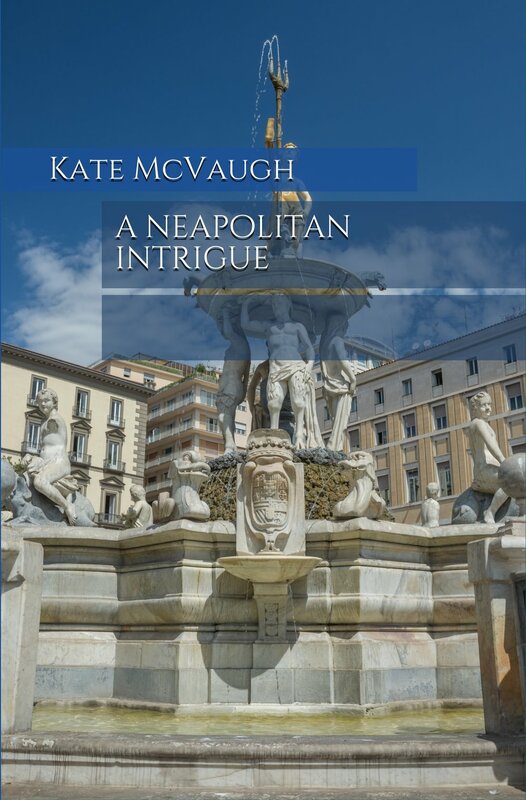 Stealing a few files to implicate her bosses seemed like a good idea… until Pia finds a gun in her front yard, apparently dropped by an inept hitman. Maybe she should have listened to Brad and quit her job instead of absconding with the incriminating documents. But it’s too late for regrets now, and she’s a marked woman. Luckily for Pia, Brad puts his surfing on hold long enough to help get her out of town and down to Ocean Beach. Unfortunately, that might not be enough. Crossing the border into Mexico may be the only answer. 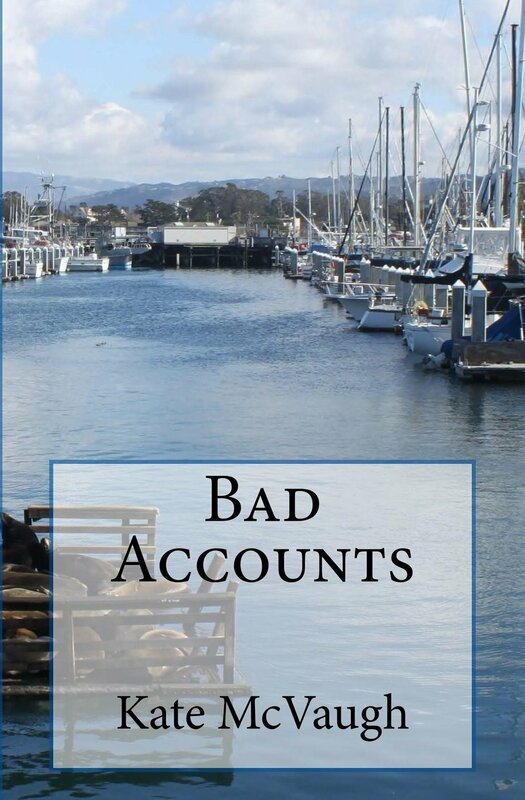 From Monterey, California, all the way to Puerto Vallarta, Mexico, aging gangsters, bungling rent-a-cops, and an out-of-his-element hitman, thwart Pia’s every move. But with the help of a few surfers and their friends, she’s determined to not only stay alive, but to see the drug cartel shut down once and for all. Ancient Roman streets, superb coffee, excellent clothes, and lush sea breezes; Naples, Italy has it all. Letty may just have found the perfect place to retire after a hectic life with the CIA and Interpol. She’s enjoying her new life when, out of nowhere, a photo of her as a teenager in 1969 winds up on a dead body. How could the People’s Park protests of fifty years ago, in Berkeley, California have anything to do with her life now? And why are so many Russians after her? It’s clear that the answers to her questions lie in the picture taken decades in the past. Her high school years of protests, sit-ins, and civil disobedience are so far from her life as a CIA agent, that she doesn’t know where to begin. Luckily, former agents and friends, Taylor and Jim, step in to assess the situation and protect her from an ever-increasing number of bad guys that are bent on doing her harm. Hoping to get back to a restful retirement, Letty must revisit that long-ago life to figure out what the heck is happening now, half a world away.